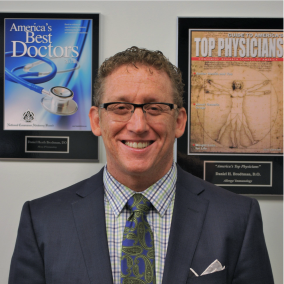 Dr. Daniel Brodtman is Board Certified by the American Board of Allergy, Asthma and Immunology and has been practicing in Palm Beach County since 2002. In addition to a fellowship in adult and pediatric allergy and immunology at North Shore-Long Island Jewish Health System, New Hyde Park, NY he completed his pediatric residency at Schneider Children's Hospital. Dr. Brodtman is published in a number of leading medical journals, has presented his work on Immunodeficiency in Childhood Leukemia at national meetings and to the media. He has participated as sub-investigator in more than 30 clinical trials for the treatment of patients with primary immunodeficiency. He lectures extensively on various topics of his expertise and has been listed in Guide to America’s Top Physicians, America’s Best Doctor's, World’s Leading Physicians and Strathmore’s Who’s Who. Dr. Brodtman is a fellow of the American Academy of Pediatrics, the American Academy of Allergy, Asthma and Immunology and of the American College of Allergy, Asthma and Immunology. He has special areas of expertise including but not limited to adult and pediatric asthma, immunodeficiency, allergic rhinitis, hives, food allergies, eczema and skin allergies, drug allergy, sinusitis, and insect venom allergy.